If you visit any kayaking forum online, you'll notice an increasing number of posts from people asking about kayaks for dogs. It seems that the current trend is to take the pooch along for the ride! Who started this trend, we don't know, but it has caught on like wildfire! People do love their dogs! What Type of Kayaks Are Best For Dogs? 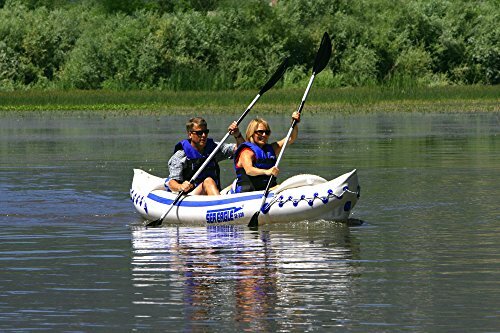 The ideal kayak for taking your dog along as a kayaking companion is a two tandem (two seater) "sit on top" style kayak. ​You can train your dog to ride in the front seat, gliding through the water like a regal mascot (which provides opportunities for amazing pictures to share by the way), or in the back seat in a "follow the leader" mode. The Ocean Kayak Malibu is a twelve foot, two tandem, sit on top, sturdy kayak that is very popular with kayakers who like to take their dog along for the adventure. These kayaks are sold on Amazon and at other online venues and get very good reviews from dog "owners" -- yes, we know who actually "owns" who! The Preception Tribe is another two tandem, sit on top, kayak that has become popular for kayaking with dogs as it easily supports a pooch of almost any size. If you prefer inflatable kayaks, the Sea Eagle SE330 kayak is a popular one for dogs. It is made from highly durable material that can withstand the abuse of dog paws and claws. Further, if you do get a puncture, the repair kit provided is quick and easy to use. ​Dogs seem to prefer riding in their own seat rather than crouching between their human's legs. Just like most dogs like to stick their head out the window of a car, most kayaking dogs seem to prefer to have plenty of air and an unfettered visual of their surroundings. However, having said this, if you find kayaks that have an ample cockpit with plenty of leg room, most small to medium sized dogs can be trained to sit in the cockpit between their human's legs. If your dog has a nervous or timid personality, they may even prefer this position as they'll feel more protected being close to you at all times. If you have never kayaked with your dog before, you cannot expect him or her to take to the experience with the grace of a duck, at least not immediately! If possible, it is best to acclimate your dog to the kayak(s) in which you intend to use. First let your dog get used to the kayak on dry land. If you have the yard space, this would be ideal since this lets your dog explore the kayak on their home turf. Encourage your dog to sniff the kayak all over while pulling your hands on it so they pick up your sent. If they don't jump inside the kayak on their own, place your dog inside the kayak and talk to them in a happy reassuring voice. You may even want to tell them about the kayaking adventures you plan to take them on! Before you decide on the type of kayak to buy for your pooch, you can try renting different styles of kayaks to test which is logistically best for kayaking with your particular dog. Kayaks are not "one kind fits all" and different kayaks will suit different dogs better. 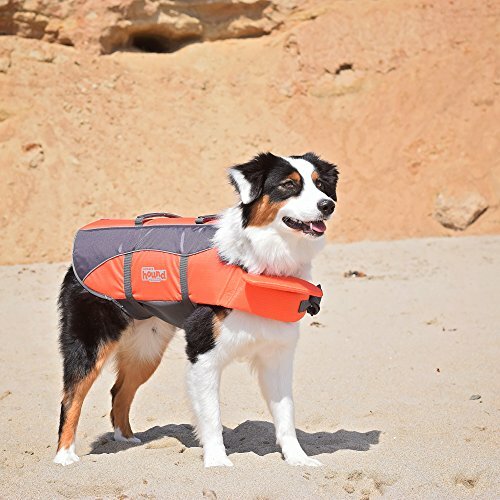 PRO TIP: If you're unsure how your dog will react in a real life kayaking situation, you may want to try out the experience in the safety of a protected harbor or on a shallow placid lake close to shore. No matter what types of kayaks you and your dog(s) prefer, safety should always be a top consideration when kayaking with your dog. We should mention that while some canines can be trained to sit on the bow of a kayak, this is not recommended as a safe way to recreate with your dog. Even on a mirror smooth lake or other calm flat water excursions, your dog could easily fall off the bow of a canoe when you are turning or making other maneuvers. Most dogs are good swimmers. However, just like humans who are good swimmers, they too run the risk of being drowned in a kayaking accident. Flotation devices also seem to calm the nerves of many dogs, almost like an anti-anxiety vest. While you'll want to take along a leash for when you get out of your kayak, it is never a good idea to actually tether your dog to a kayak. If you have an accident, you may not be able to untie your dog fast enough to prevent drowning. Many people don't realize that dogs sunburn just like people in areas that are not covered by fur or on parts of their body where the fur is less dense. 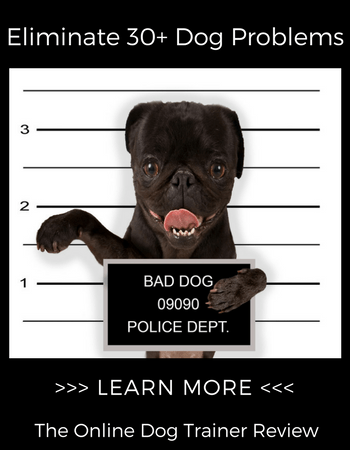 The most susceptible areas to sunburning on dogs are the nose, ears, groin, and belly. This will protect your dog from more than ninety-eight percent of the most harmful UV radiation. Remember, dogs can get skin cancer just like humans. All dog people know that gut wrenching feeling when we have to leave our dogs at home. This is even worse when we're headed out to do something fun. Some dogs whimper and others cry vociferously and these sounds can haunt us for the whole day. When dogs look at you with those big "please don't leave me" puppy dog eyes when they hear the rattle of the keys, it never fails to your heart strings. This is why so many people have been asking about kayaks for dogs. 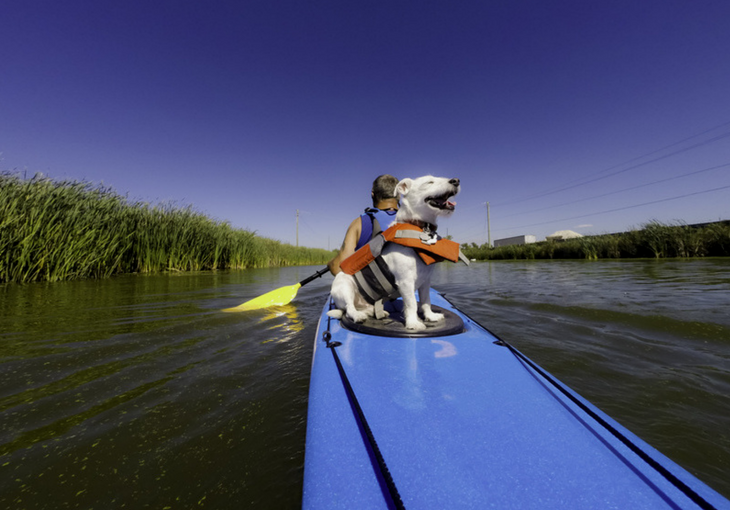 We are happy to have given you valuable tips on kayaking with your dog and we hope you and your dog(s) have a splendid time exploring the waterways together!